Amy D'Olimpio is the Senior Vice President of Human Resources for Regency Centers. Amy oversees management of the company's most important asset – its people. Amy joined Regency in 1997 as the HR Assistant, and soon thereafter promoted into Real Estate Accounting, where she was a Lease Accountant until 1999. Following a short time away from Regency, she returned to Human Resources in 2000 and has since developed most of the HR roles and programs that exist today. Amy is appreciated for her knowledge of the retail real estate industry, her commitment to Regency's special culture, her ability to relate to people throughout the organization, her broad knowledge and experience in HR, her track record of accomplishment, and the trust and loyalty she has earned from employees across the country. 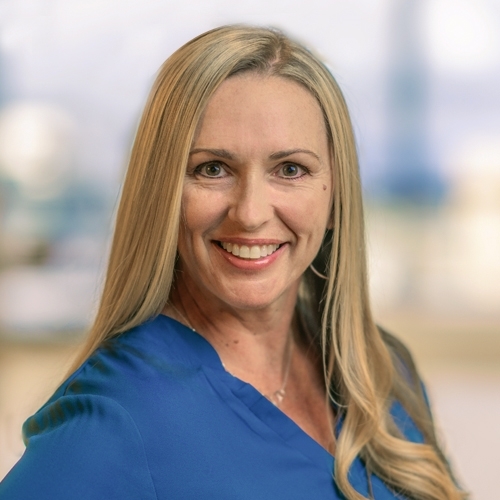 As a former Company Leader for Regency's campaign to support American Heart Association, she continues to support this and other organizations, including United Way and Leadership Jacksonville (Class of 2017). She also serves as Board member and Staff Development Committee Chair for Habitat for Humanity of Jacksonville. Amy earned her Bachelor degree in Psychology from the University of North Florida. She enjoys fitness, travel, outdoor activities and spending time with her husband and two daughters.